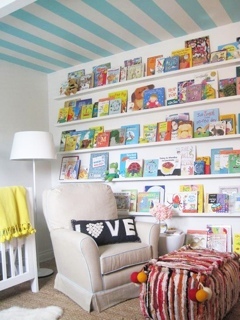 Although I’m not yet knocked up, I still can’t help but browse for nursery inspiration. 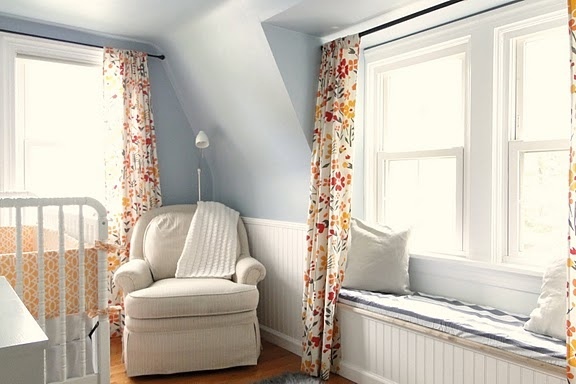 I’m loving the Jenny Lind crib and antique dressers converted into changing table. We actually have the perfect dresser for this! 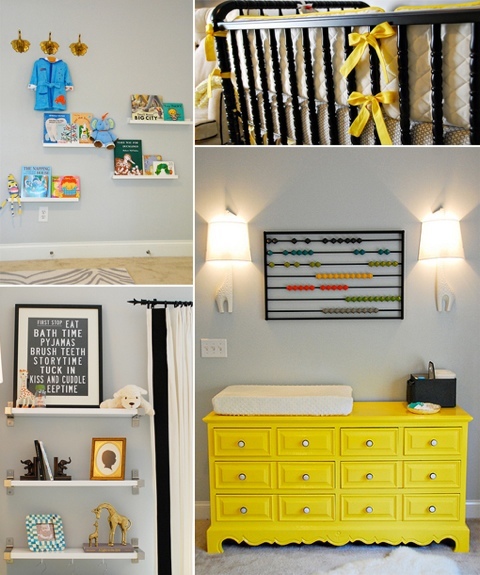 I’m finding myself drawn to yellow, the changing table here is just too cute! How cute is this book wall? I totally want to incorporate this in our nursery. 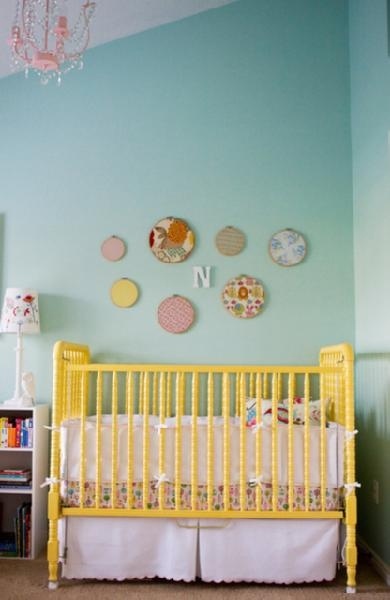 Love this yellow Jenny Lind crib. Adorable! My fav is the 6th one down. I can’t wait til you get preggers too!